When I was an older adolescent, I traveled to London with my mother to visit her family. She hadn't seen her brother and sister--or her country--for a couple of decades, and it was an emotional event. We stayed with her brother and his wife, and they usually had the television on. This visit took place while Wimbledon was in progress. My aunt and uncle had almost no interest in it, but I couldn't take my eyes off of young Evonne Goolagong. She seemed to practically float around the court, she was so graceful. Goolagong made it look so easy, and of course, her entire persona was of great interest to fans and the tennis press (generally not in a good way) because of her ethnic origin. Goolagong won the tournament, beating Margaret Court in the final, and I was hooked. 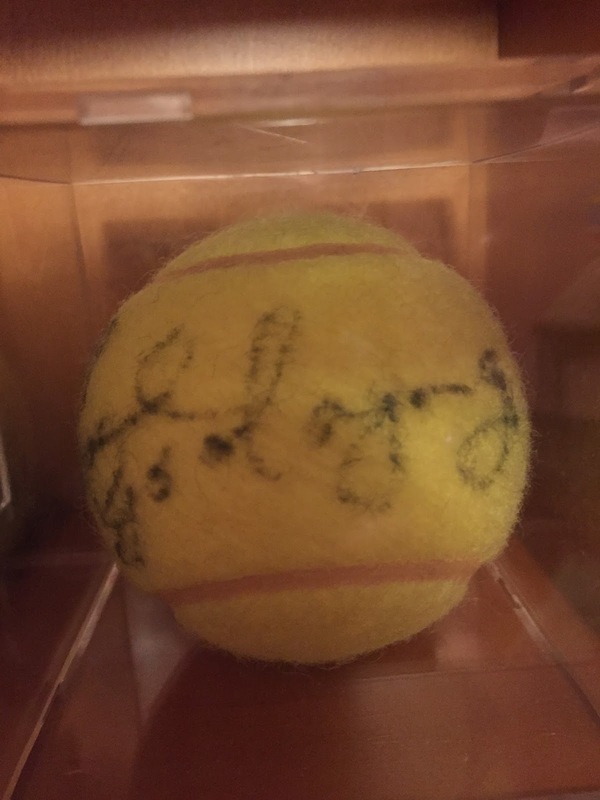 Goolagong would go on to be the rival (before the great rivalry emerged) of Chris Evert, whose career then became the focal point of my fan enthusiasm. But I never stopped following Goolagong, who would go on to win Wimbledon again, nine years later. This time, she beat Evert in the final. I later learned about the great Maria Bueno, also a "ballerina" on the tennis court. And I would become entranced by the grace of Hana Mandlikova, Gabriela Sabatini and Amelie Mauresmo. It's no surprise that I now take great delight in watching Francesca Schiavone, Simona Halep and, of course, Aga Radwanska. Readers of this blog know that I don't care for Wimbledon, but at least I have the lovely memory of sitting in front of a small television, watching an absolutely magical 19-year-old glide across Centre Court, covering this young woman with a kind of fairy dust that led to a lifelong love of women's professional tennis.